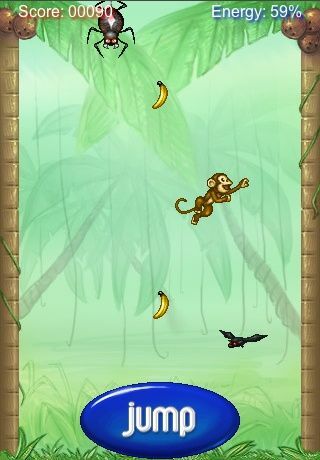 Help the monkey to collect all bananas jumping from one side to the other. A jump costs energy. If you hit against an enemy you will lose energy. The game is over when all energy is lost. Submit your score and compete against the rest of the world.